Overall, Natrogix Probiotic 40 Billion is a total flop for me. I give it 1 out of 5 stars and really just don’t like it. First and foremost, it didn’t help with any of my belly problems. 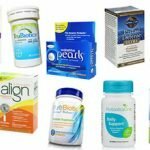 I have IBS and probiotics are one of the only ways I can get some relief. Unfortunately, this wasn’t one of them. I literally saw zero improvement with my symptoms or with my health in general while taking this probiotic. You have to take 2 capsules daily (I prefer the one and done route). It suggests taking 1 capsule in the morning and a second capsule in the evening. It’s also not convenient because you have to refrigerate it to maintain potency. The company doesn’t offer any type of guarantee, so this is another bummer. There’s a super high CFU amount, so it may cause side effects in some people. I didn’t have any negative side effects but I also didn’t see anything positive either. It just felt like this probiotic did absolutely nothing. Overall, I’m just disappointed with this product and can’t find one thing I like about it. Save your money and pass on this one! 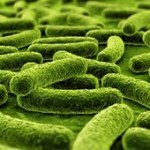 Natrogix Probiotic 40 Billion has 40 billion CFU (as the name suggests) in 4 probiotic strains. One strain used is Lactobacillus acidophilus La-14. I really like this probiotic because it’s been one of the most heavily researched. It’s been shown to help with things like constipation, belly bloat, diarrhea, Irritable Bowel Syndrome (IBS) symptoms, and Crohn’s disease. Lactobacillus acidophilus may also boost immunity and treat and prevent urinary tract infections (UTIs). It’s also one of my personal favorites. It’s been shown to help with bloating, diarrhea, constipation, Irritable Bowel Syndrome (IBS) symptoms, and Crohn’s disease. Lactobacillus acidophilus may also help with lactose intolerance, improve immune response, and treat urinary tract infections (UTIs). Another strain I like is Lactobacillus plantarum. This strain may be able to help in a number of different ways. It’s been shown to reduce anxiety, lower chances of obesity, decrease inflammation, and improve iron and calcium and absorption. Natrogix Probiotic 40 Billion doesn’t have any allergy concerns listed. It really doesn’t say much on the bottle or the website. I like when companies tell you explicitly what’s in it and what’s not (gluten, soy, etc). The other ingredients include: cellulose (vegetable capsule), rice maltodextrin, and microcrystalline cellulose. A bottle of 60 capsules costs $28.99. Since you take 2 per day, it lasts you 30 days. It ends up being $0.83 to take this probiotic every day. That’s about average as far as probiotic supplements go. It’s maybe just a tad above average, but nothing crazy. Unfortunately, I really don’t think it’s a good value for the price. I’d save your money and opt for a better quality probiotic. There’s a lot of CFU in this probiotic, 40 billion to be exact. 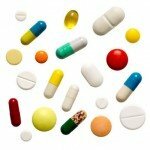 I usually expect to see some minor discomfort or side effects from potent probiotics. But with this one, I didn’t see any negative side effects. However, I didn’t see any positive effects either. I couldn’t find any sort of guarantee on the Natrogix website. I don’t like when companies don’t offer you anything or back their products. 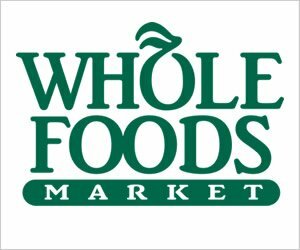 This probiotic is sold through Amazon, so you may be able to get some type of refund if you buy it from there. But other than that… it looks like you’re out of luck if you’re not happy with it! 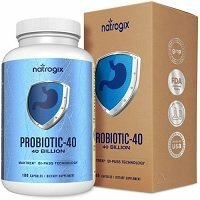 To buy Natrogix Probiotic 40 Billion, click here.